Season 4, Episode 18 - "Cancun, Baby!" Season 4, Episode 17 - "Barbara Ann"
Season 4, Episode 16 - "The Blob"
Season 4, Episode 15 - "Designated Survivors"
Season 4, Episode 14 - "Special Delivery"
Season 4, Episode 13 - "Release the Hounds"
Season 4, Episode 12 - "Señor Clean"
Season 4, Episode 11 - "Hamilton / Berg"
Season 4, Episode 10 - "Paint Misbehavin'"
Tandy and Todd introduce newcomer Karl (guest star Fred Armisen) to the rest of the gang. Meanwhile, the group searches for Jasper, who has gone missing. Season 4, Episode 9 - "Karl"
Season 4, Episode 8 - "Not Appropriate for Miners"
Season 4, Episode 7 - "Gender Friender"
Season 4, Episode 6 - "Double Cheeseburger"
Season 4, Episode 5 - "La Abuela"
Season 4, Episode 4 - "Wisconsin"
Season 4, Episode 3 - "Skeleton Crew"
Season 4, Episode 2 - "Stocko Syndrome"
Season 4, Episode 1 - "M.U.B.A.R." Season 3, Episode 18 - "Nature's Horchata"
The long term consequences of surviving an apocalypse start to have a major impact on the group. Season 3, Episode 17 - "When the Going Gets Tough"
Season 3, Episode 16 - "The Big Day"
Tandy and Gail face off in a major disagreement, on which the whole group must weigh in, and Carol is forced to choose a side. Meanwhile, Melissa, Todd and Erica each have major milestone moments. Season 3, Episode 15 - "Name 20 Picnics... Now!" The gang throws a huge celebration canvassing every major holiday, but Tandy and Todd's bro-mance hits a rough patch that threatens to end the fun. Season 3, Episode 14 - "Point Person Knows Best"
Tandy tries to take charge of a new situation that has unfolded in the group, and Carol is suspicious of Todd's behavior. Season 3, Episode 13 - "Find This Thing We Need To"
Carol makes a big discovery, enlisting Tandy and Erica to help her track down some answers. Meanwhile, Todd has a major breakthrough with Melissa. Season 3, Episode 12 - "Hair of the Dog"
Todd and Tandy dig deep into Melissa's pre-virus past, as they search for answers about her illness, and Carol adopts a new outlook on life. Season 3, Episode 11 - "The Spirit of St. Lewis"
After being locked up for her own safety, Melissa plays hurtful mind games with the group. Meanwhile, Todd and the group explore medications that might help her, and Lewis goes on a new solo adventure. Season 3, Episode 10 - "Got Milk?" Season 3, Episode 9 - "If You're Happy and You Know It"
Season 3, Episode 8 - "Whitney Houston, We Have a Problem"
After finding a mysterious note left by Melissa that says "Goodbye," the gang sets off to go look for her. Meanwhile, Gail gets stuck on a solo adventure of her own. Season 3, Episode 7 - "Mama's Hideaway"
Carol is hell-bent on capturing the perfect family photo and will stop at nothing to get it. Meanwhile, Melissa has a surprising mission of her own, Lewis looks into a new hobby and Gail finds herself stuck in a scary situation. Season 3, Episode 6 - "The Open-Ended Nature of Unwitnessed Deaths"
Season 3, Episode 5 - "The Power of Power"
The group continues to search for a new place to live, but someone may be sabotaging their progress. Meanwhile, the love triangle between Todd, Gail and Melissa hits new road blocks. Season 3, Episode 4 - "Five Hoda Kotbs"
A post-apocalyptic road trip has everyone at war with each other and Gail is really pushed to her breaking point. Season 3, Episode 3 - "You're All Going to Diet"
Tandy sets up a unique alarm system in the house, but Melissa has already put her own safety precautions in place. The whole group decides to enjoy a change in scenery. Season 3, Episode 2 - "The Wild Guess Express"
When Todd suffers from major remorse over recent actions, Tandy tries to lift his best friend's spirits – even if it requires a few white lies. Season 3, Episode 1 - "General Breast Theme with Cobras"
Season 2, Episode 18 - "30 Years of Science Down the Tubes"
Phil and Mike grow closer than ever and the whole Malibu group gets a big friggin' surprise. Season 2, Episode 17 - "Smart and Stupid"
Season 2, Episode 16 - "Falling Slowly"
Todd has a lot to think about when Tandy and Carol ask a major favor of him. Meanwhile, Gail's wine consumption has become an issue. Season 2, Episode 15 - "Fourth Finger"
Season 2, Episode 14 - "Skidmark"
Tandy tries to host a party for the group and Todd's luck takes a turn for the better. Season 2, Episode 13 - "Fish in the Dish"
Carol is back on the campaign for repopulation with Phil, and Todd's juggling act finally puts him over the edge. Season 2, Episode 12 - "Valhalla"
The Malibu gang seeks closure after Phil 2's demise, while Todd and Melissa maneuver through the aftermath of her surprise proposal. Season 2, Episode 11 - "Pitch Black"
Mike Miller's space capsule careens through the sky toward Earth, finally putting him on the same planet as his big brother, Phil/Tandy (Will Forte). 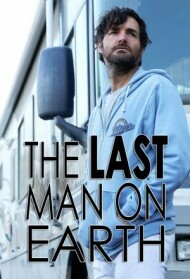 Mike thinks he is the last man on earth, but who knows what or whom he might encounter. Season 2, Episode 10 - "Silent Night"
Season 2, Episode 9 - "Secret Santa"
Along with most human life, the virus wiped out normal traditions and holidays. As Christmas approaches, Carol spearheads a "Secret Santa" gift exchange to spread some festive cheer. Season 2, Episode 8 - "No Bull"
Season 2, Episode 7 - "Baby Steps"
Re-population becomes a hot topic with the Malibu survivors. Season 2, Episode 6 - "A Real Live Wire"
Tandy and Todd attempt to solve an end-of-the-world power problem. Season 2, Episode 5 - "Crickets"
The population may be small, but it's still big enough for big, dark secrets. Season 2, Episode 4 - "C to the T"
Phil/Tandy finds redemption when he saves the day. Season 2, Episode 3 - "Dead Man Walking"
Carol takes a page out of Phil's book when she tells a lie from which it is difficult for her to recover. Season 2, Episode 2 - "The Boo"
Phil searches desperately for Carol after they're separated without phones or walkie-talkies. Season 2, Episode 1 - "Is There Anybody Out There?" Season 1, Episode 13 - "Screw the Moon"
Season 1, Episode 12 - "The Tandyman Can"
Season 1, Episode 11 - "Moved to Tampa"
Phil's a single man after his divorce from Carol, and his romantic prospects seem to improve when Gail and Erica are now interested in him, but he still worries that other men might show up and ruin his chances. Season 1, Episode 10 - "Pranks for Nothin'"
Phil can't persuade the group that running off with Erica and Gail was just a prank, so he tries a different strategy to get his point across. Season 1, Episode 9 - "The Do-Over"
Carol decides to improve Phil's painting. Season 1, Episode 8 - "Mooovin' In"
Phil finds a cow, but can't agree with the rest of the group on what to do with it. Meanwhile, Carol seizes an opportunity to move in with Phil. Season 1, Episode 7 - "She Drives Me Crazy"
Phil Miller continues to live in Tucson. Season 1, Episode 6 - "Some Friggin' Fat Guy"
A man named Todd shows up and could spoil Phil's chances with Melissa. Season 1, Episode 5 - "Dunk the Skunk"
Season 1, Episode 4 - "Sweet Melissa"
Phil finds himself in a pickle and has to work fast in order to save human existence. Season 1, Episode 3 - "Raisin Balls and Wedding Bells"
Phil Miller continues to adjust to life as the last man on earth, while settling into his new mansion in Tucson. But his solitary existence could be upended. Season 1, Episode 2 - "The Elephant in the Room"
Chronicles the life and adventures of an average guy - and humanity's last hope - who discovers what life is like when no one is telling you what you can and cannot do. The year is 2020, and after a deadly virus has swept the planet, only one man is left on earth: Phil Miller. He used to be just an average guy who loved his family and hated his job. Now, in his RV, Phil searches the country for other survivors. He has traveled to every city, every town and every outpost in the United States, Mexico and Canada, and has found no one. As he returns to his hometown of Tucson, Phil comes to the realization that he is almost certainly the last living being on the face of the earth. Season 1, Episode 1 - "Alive In Tucson"